Summer is here to stay, and it's a very warm one where I live. I wished I could walk along the beach, feeling the breeze from the sea... That thought reminded me of these beautiful models, by Kunihiko Kasahara, that I folded for the first time some time ago. I'm not really sure about the name of the models, as they are from a book in Japanese language, but I guess the group can be called "A walk along the beach"
The models are from the book New discoveries in Origami 1, by Kunihiko Kasahara, ISBN-481708085X. This is an interesting book, with very creative models. 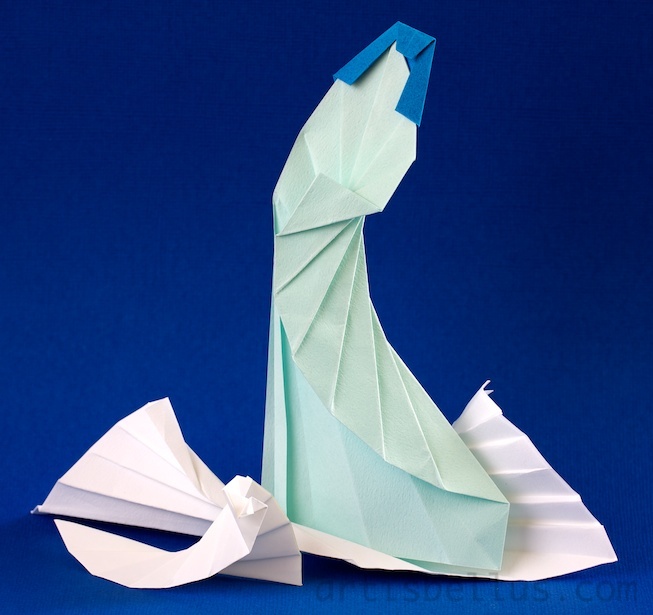 Most of the models are spiral like shapes folded with a series of vertical and diagonal pleats. That looks really awesome, nice job! Looks cool. What better way is there to do these artworks than by the beach itself.